Rain, rain go away. Come again some other day. Or not. I suppose it’s alright that my hubby hijacked my blog to post such a cute picture of the Finbucket. Gah, she’s starting to look so grown up! your little girl is sooo cute!!! she’s like a mini-me of you! LOL And I want her curls!!! 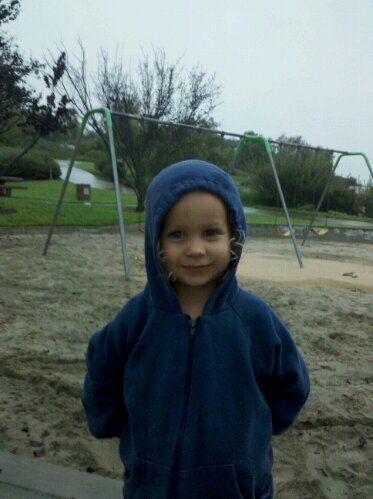 My three-year-olds favorite song is rain, rain go away because of all the rain we had in So Cal the past few weeks!